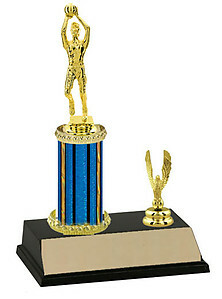 Shopping for male basketball trophies? This is a great place to start if you are a youth or men's basketball league coach or coordinator. 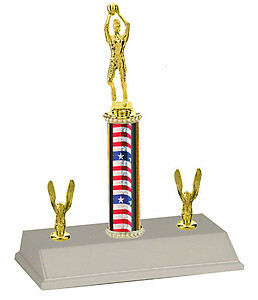 Boys and men basketball trophies to match your budget. 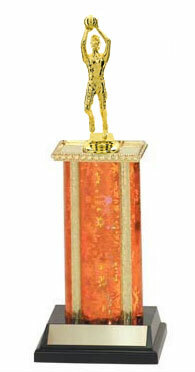 Small trophies with your printing as low as $3.99 or go big with a 4 foot, 4 post trophy. 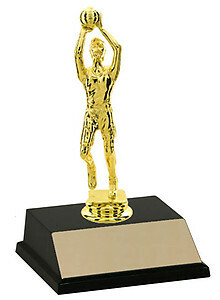 With lots of options to choose from we are confident we can fill your basketball trophy awards needs. We also have basketball trophies in female and neutral gender, all basketball trophies include 40 characters of free printing. Of the more you buy the more you save, we have 5 levels of pricing and if that not enough call us we will be happy to give you a quote. 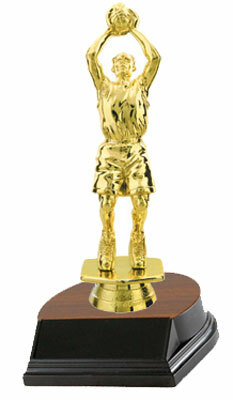 Call us at 800-787-8777 today and let us go to work on your male basketball trophy order.